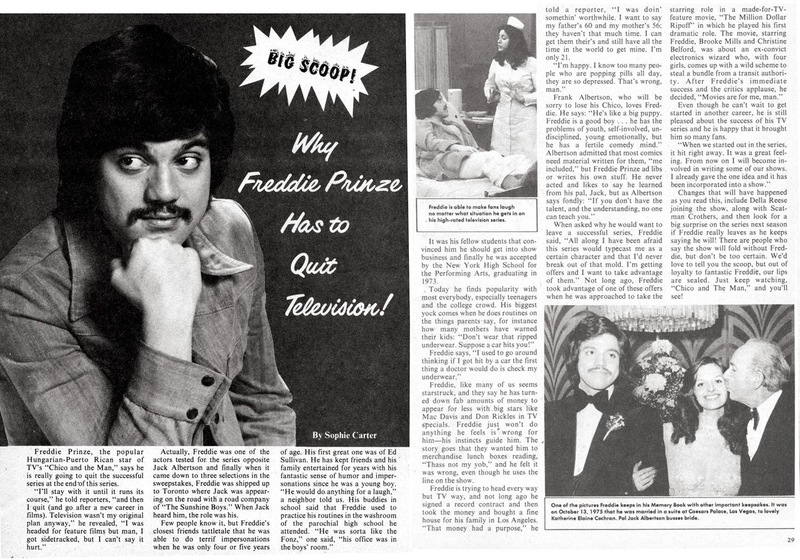 I won’t claim to be an expert on the lesser teenybopper magazines of the ’70s, mostly because doing so would shine too bright a light on my personal life. But I will go out on a limb and claim that this headline has to be one of the most awkward ever to appear in such a publication, if not the most ominous. And it feels all the more awful when you consider that the publish date is listed on the cover as March 1977. 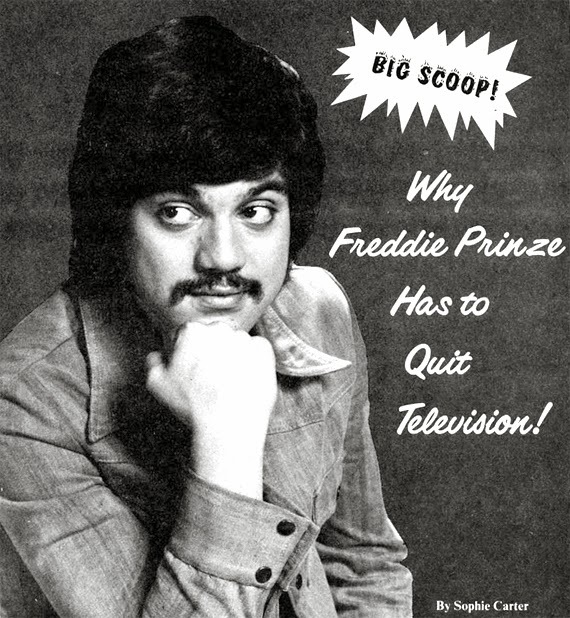 See, because Freddie Prinze died as a result of a self-inflicted gunshot wound on January 29, 1977, so this magazine either hit newsstands slightly before Prinze died — and yeah, that’s the best-case scenario — or after. All images via scans found on this site, which is doubtlessly full of even more things that are awkward and disturbing as a result that same heinous monster.